In Mumbai we recalibrate our budget and find a simple clean guesthouse in the Fort area which is amongst the classic architecture, museums and art gallery’s. We stroll the streets and find ‘Leopolds’ the pub that David Gregory Roberts from Shantaram hangs out in. It’s full of tourists and bullet holes. The pub has chosen to keep the holes from the 2008 terrorist attacks. 3L beer towers rise out of the tables around us. The pub serves the best ever maple and walnut tart and a very rich and scrumptious Chocolate Ecstasy. Matts smile was from ear to ear while he devoured his treat which was like a rich mud and fudge cake. We wandered the streets of Churchgate, Fort and Colaba admiring the colonial and gothic style buildings and pondering over their history. We stroll into art galleries and admire the work of modern day artists. South Mumbai has so much to offer for cultural enthusiasts as well as the shopaholics. And it is also notably the cleanest place we have been in India. On another day we barter with taxi drivers for a half day city tour. For $20 we pay a driver/guide for 3 hours. Firstly we hold our noses while visit the Sasson Fishing Docks. Matt tries to take a photo of a group of ladies shelling millions of prawns but they yell “no photos”. Next to the World Trade Centre, a complex of 5 towers which house the corporate businesses. We are told business is very spread out over the city hence the small number of buildings in the area. 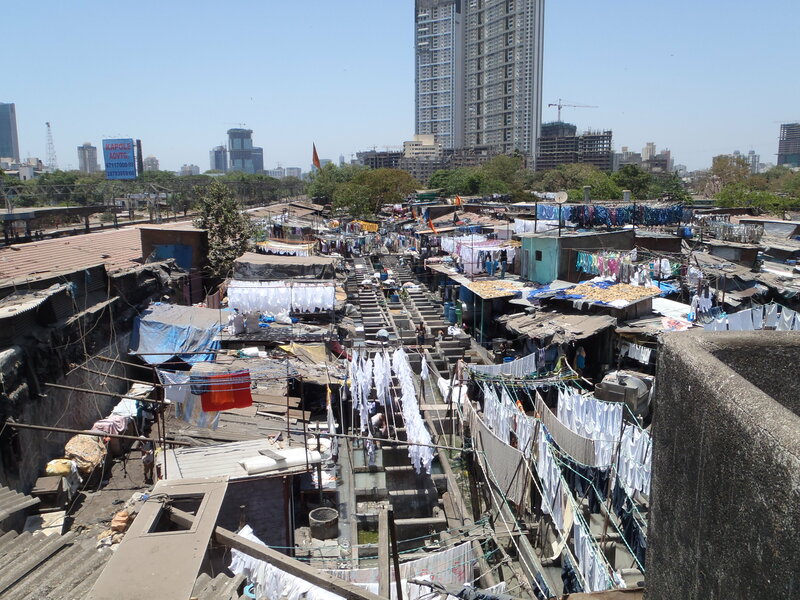 5 minutes down the road we pass a slum, the one from Shantaram. In the slums lived beggars, fishermen and blue and white collar workers. Some people chose to live in a slum because that is where they were raised despite being able to live in apartments. We drive to Malabar Hill to see where the rich and famous live. Our expectations were a little higher, it is buildings on buildings, albeit fancy ones. Off to the Hanging Gardens where we are again celebrities cornered by the paparazzi. In the end we put our heads down and head swiftly back to our taxi. At the Ghandi Muesum we admire the works of Ghandi for the fight for freedom. He realised his purpose in life in London when he was a lawyer and was kicked off a train because he was black. From then on he made many sacrifices and spent a considerably period of his life in jail. But he was successful with his methods of non violent protest and mass non-compliance in removing the British from India. 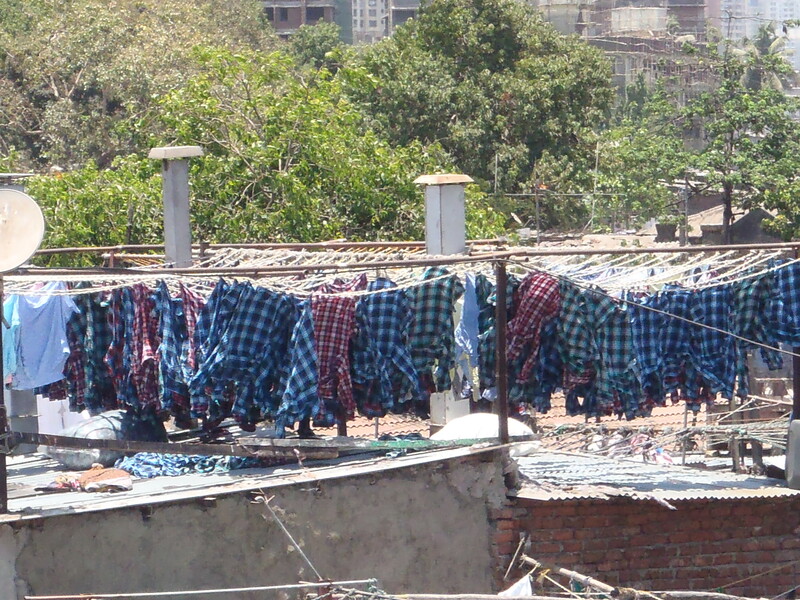 At the Mahalaxmi Dhobi Ghat, the laundry house, we watched men slam clothes against concrete troughs. It is the oldest and largest man powered laundry service in India. 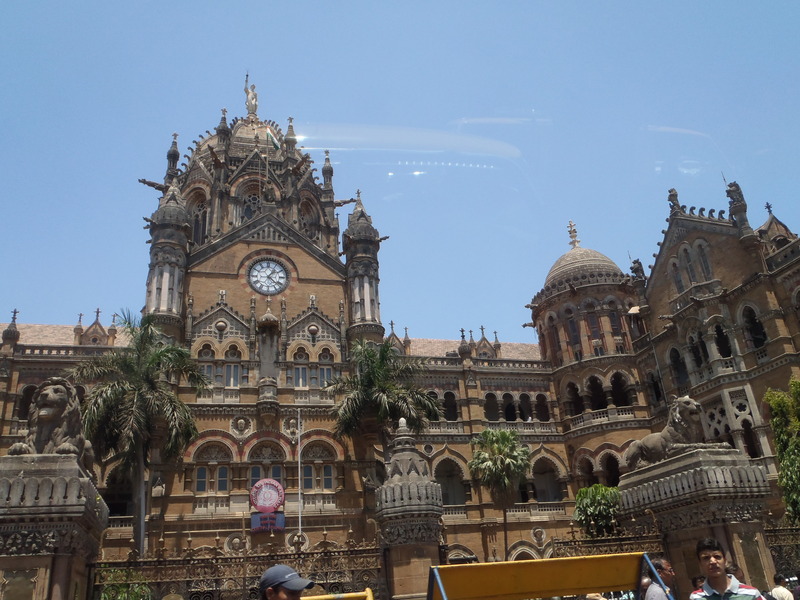 On the way home we visit the Unesco World Heritage Chhatrapati Shivaji Terminus (Victoria Terminus train station). Completed in 1887 it is still in reasonable good shape despite 1000’s of people passing through daily. 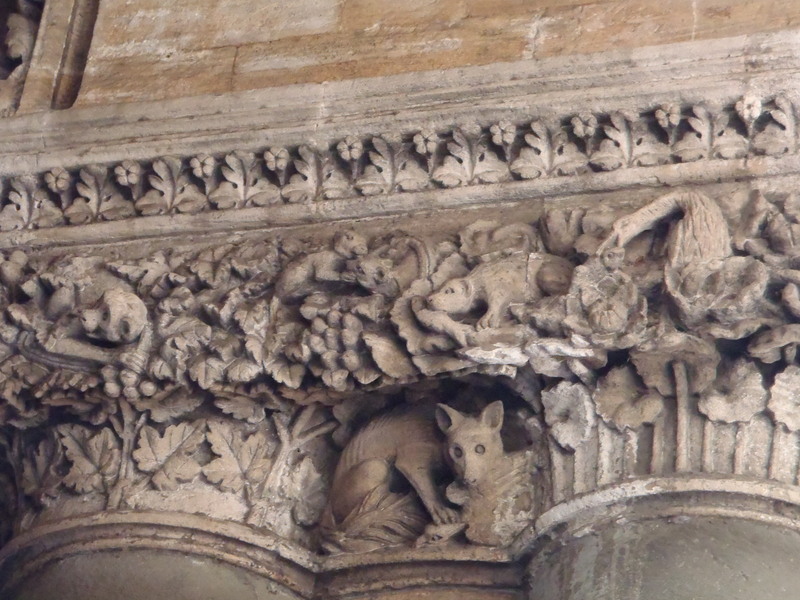 A hand carved jungle watches over you from the intricately detailed ceilings and columns. At night we head for a well presented cafe for some much desired salad. Since traveling we have not had a salad mostly because we are concerned about the way it is prepared. Or on the occasion we do order one, we ask “where is the lettuce?”. We treat ourselves to a fabulous tasty salads and desert for $26! And that’s our most expensive meal yet. For deserts Jill has the mango tart which is to die for and Matt has the Mango Cheesecake which is equally as delicious. We are now happy we have filled our homely desire. 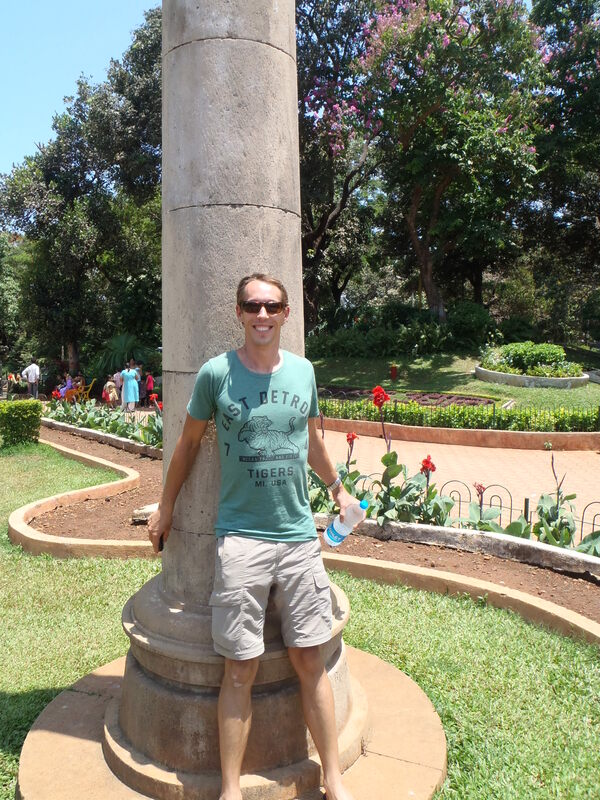 Thereis a lot to see and do in Mumbai. 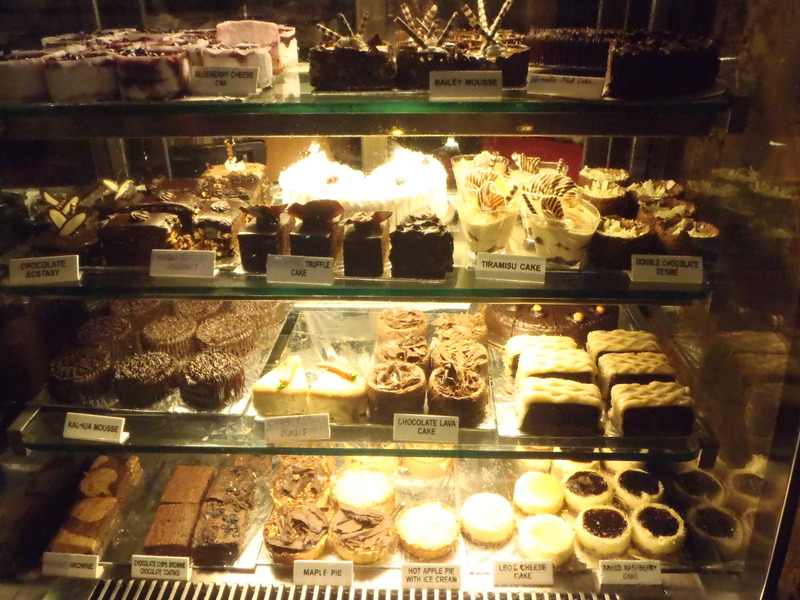 The food is great, we spoiled ourselves with treats like proper coffee, cakes, kulfi (a firm Indian ice cream often infused with nuts or fruit), falooda and a plethora of flavours from all over India and the globe. The architecture is amasing. You can lose yourself in the detail of the buildings. We could have spent more time here but after two whole months of not seeing, hearing, smelling or feeling the ocean we have a strong desire to get to a proper beach. We realise that we hold the ocena in the same regard as the north Indiand hold the Ganges. So after 3 days in Bombay we jump on a train to the international holiday destination Goa.